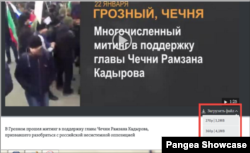 Pangea TV widget is designed to broadcast TV content including Live input from Pangea users with web camera or mobile device with PangeaGo application installed. You can also use internal tube or channel or external stream URL. Content for this widget can be set on Video Scheduler. +Add Widget button > check Pangea TV widget and hit Save button. 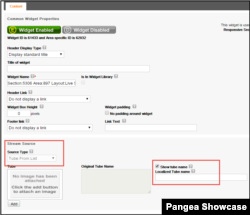 Pangea TV widget is available as 1, 2 and 3 column widget. 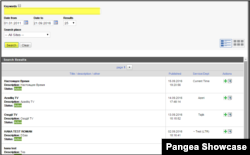 Channel form the list - select any channel used by other Pangea users. ​You can also visit Starting with Internet TV blog. There are gathered all articles related to the Internet TV.